Hi, I'm Griffin at C-Line, and today we're going to talk about our quarter-inch white sliding grip binding bars. C-Lines binding bars, or spines, work with C-Line report covers to securely hold your report or presentation in place. The quarter-inch binding bars will comfortably hold up to 40 sheets of letter-size copy paper. Using thicker paper or special paper stock may affect the number of sheets the bar will hold. To slide on the binding bar, insert the sealed edge of your report cover into the bar, and slide it down until it is completely on. Because the bars slide on and off, it's easy to add or remove pages of a report, or to open the cover if you need to photocopy the pages inside. Use C-Line binding bars, with C-Line report covers, which are sold separately, to secure presentations, reports, school projects, proposals, and more. 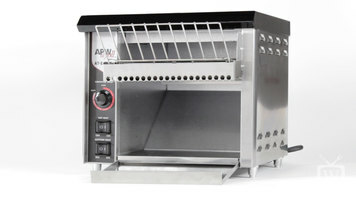 They are great for organizing your home, school and business. Order yours now. That's all we have for today. I'm Griffin at C-Line, and thanks for watching! Easily store and present up to 40 letter-size documents with C-Line 1/4" White Binding Bars. When paired with C-Line Report Covers, these binding bars effectively store and protect your paper proposals, reports and presentations. 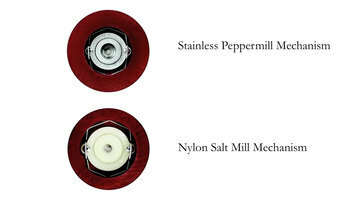 Expertly clean your Fletchers' Mill salt and pepper mills with these simple steps! They'll continue to work properly for years to come. 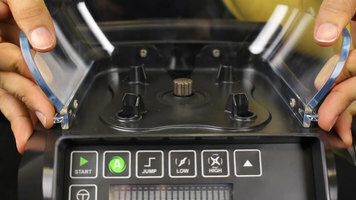 Check out this video for a visual step-by-step demonstration on how to clean the Quiet Shield on your Hamilton Beach Summit HBH850 series blender.